In March 2014 these musicians met for the first time during the BrokkenBal, the yearly concert I organize with writers at the Amsterdam Bimhuis. From the first rehearsal on, the horns blended, the rhythm section was steaming and we all felt immediately this was a perfect match; a year later we had our first concert as VANBINSBERGEN PLAYSTATION! This dynamic live CD is recorded during our first two concerts. 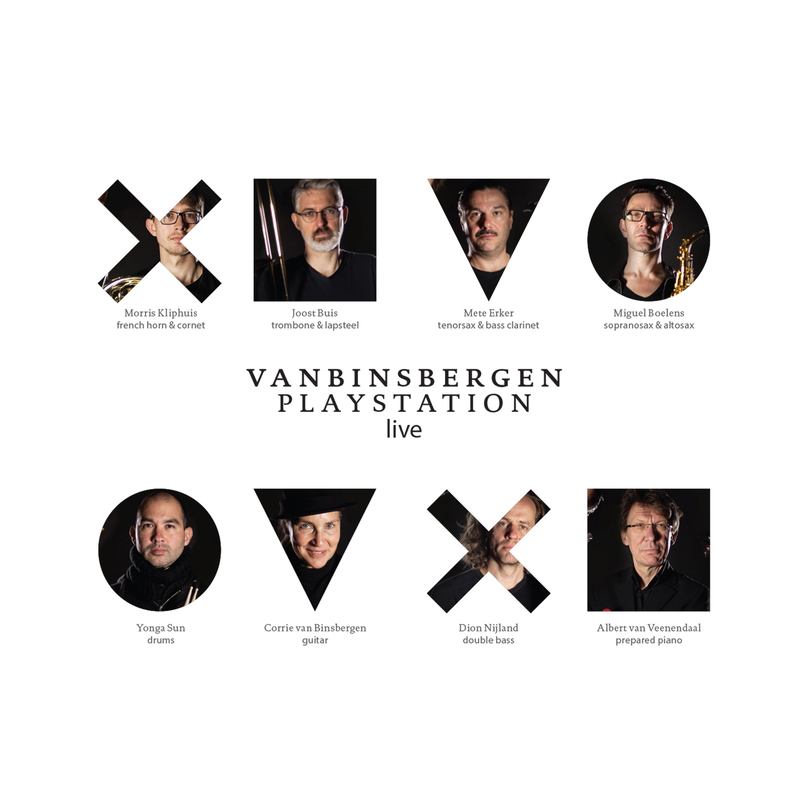 VanBinsbergen Playstation's Debut Album Out Now! "Vanbinsbergen Playstation: unprecedented concert experience"
""The last gives the sound by Darren Hodges a modern twist in A Flower Is A Lovesome Thing. The only jazz standard on this beautiful album."" "Corrie van Binsbergen's latest band makes catchy music you (once again) can not label. Sometimes dynamic, sometimes charming, beautiful, pleasant, sometimes open, sometimes a little vague, always playful and convincing."